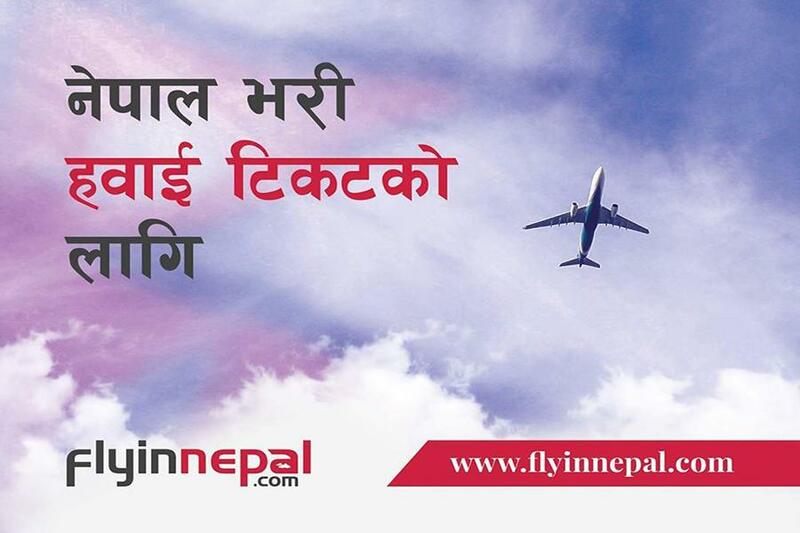 KATHMANDU : The service of online booking for the domestic flights is going to be started. With the help of online booking system now we can book our domestic flights anywhere and anytime we want. The customers can book their flights in the online website www.flyinnepal.com brought by the group of tourism entrepreneur Suman Ghimire. President of Regional Hotel Association Sauraha , Ghimire said that with the help of online ticketing we can easily perform the transactions without standing in a queue. The customers can do the payment through the Esewa, Debit & credit cards. We have been facilitating people with the help of technology these days. With the help of technology we can easily enjoy the service without wasting our time in unnecessary processes, Ghimire added. The cancellation charge is also low and the money will be returned back after the cancellation process after checking the cancellation policy and booking value fees.There is also the service of customers service desk in which the customers can ask about their inquiries in 97714444999.